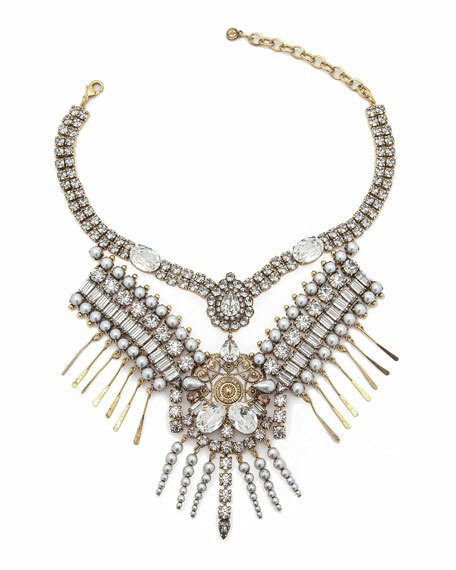 Hunter statement necklace by Dylanlex. Graduating round pearly gray beads. Handmade in New York, USA. For in-store inquiries, use sku #2661865.